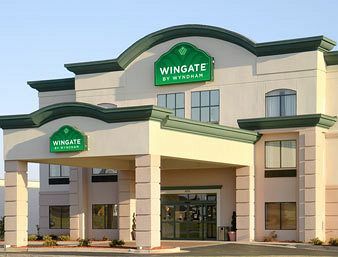 Locally owned Wingate by Wyndham Houma is proud to have been consistently ranked within the Top 2 Houma Hotels in customer satisfaction for the past 6 years! Nationally, J.D. Power Guest Satisfaction Index Study has awarded Wingate "Best in Guest Satisfaction Among Mid-Scale Hotel Chains" 2 years in a row. A short 4 mile drive from US HWY 90, our hotel is nestled in Houma's rapidly growing corridor of dining, shopping and entertainment. We are notorious for our South Louisiana hospitality, spacious comfortable rooms, delicious complimentary breakfast, and customer service... all at an affordable price. Sign up today for Wyndham's Rewards Program... ranked "Best Hotel Rewards Program by U.S News & World Report". Call or stop by our hotel for details. We'd be more than happy to help you! A short 4 mile drive from US HWY 90, our hotel is nestled in Houma's rapidly growing corridor of dining, shopping and entertainment.